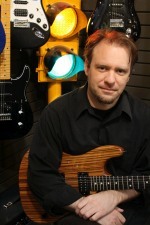 Tyson is a well known and respected guitarist in the Portland/Vancouver area. Classically trained, he has participated in Masterclasses with Grammy Award Winner David Russell, legendary guitarist John Williams, and globally acclaimed master guitarist Carlos Barbosa-Lima. Tyson studied under Jeff Ashton, University of Portland, Thomas Patterson and Randall Avers of the University of Arizona, majoring in guitar performance. He collaborates regularly with Gavin Bondy, the trumpeter of Pink Martini. He cites influences by Van Halen, Steve Vai, John McLoughlin, Paco De Lucia, and Astor Piazzolla. Currently, Tyson is the lead guitarist of the popular band, the Shanghai Woolies and plays banjo for Dryland Farmers Band. Tyson has played with the Vancouver Symphony and the orchestra of the Blue Parrot Theater. Venues have included Vancouver Wine & Jazz Festival, Jimmy Maks, Tony Starlights, the Doug Fir and various clubs throughout the Portland/Vancouver area. Tyson has been an instructor at Beacock Music since 2004 and his teaching style is relaxed but focused. He instructs in all styles of guitar, from beginning to advanced, and specializes in classical, rock, jazz, country and bluegrass. He helps his students write music and learn improvisation, teaching theory, note and chart reading, and composition. Tyson’s students enjoy recording their own music projects, learning their favorite pieces (including tv/movie themes), preparing for talent showcases, jazz bands and festivals, along with performing in concerts and recitals. If you have a question for Tyson, or wish to contact him, please fill out the form below. The message will be passed along to the Education Center and they will get back to you..